Last year was a period of recovery in global macroeconomic indicators. Positive trends in the world’s growth and inflation outlook supported sentiment towards emerging market economies – indeed, funds flowing into emerging countries exceeded $200bn. Turkey stood out among these economies, particularly given its strong GDP growth, which saw it attract a considerable volume of foreign fund flows. Turkey’s GDP growth reached 7.4 percent at year-end 2017, compared with 3.2 percent in 2016. However, this robust domestic demand repressed inflation. Together with the currency depreciation, headline inflation rose to 11.9 percent in the same year. 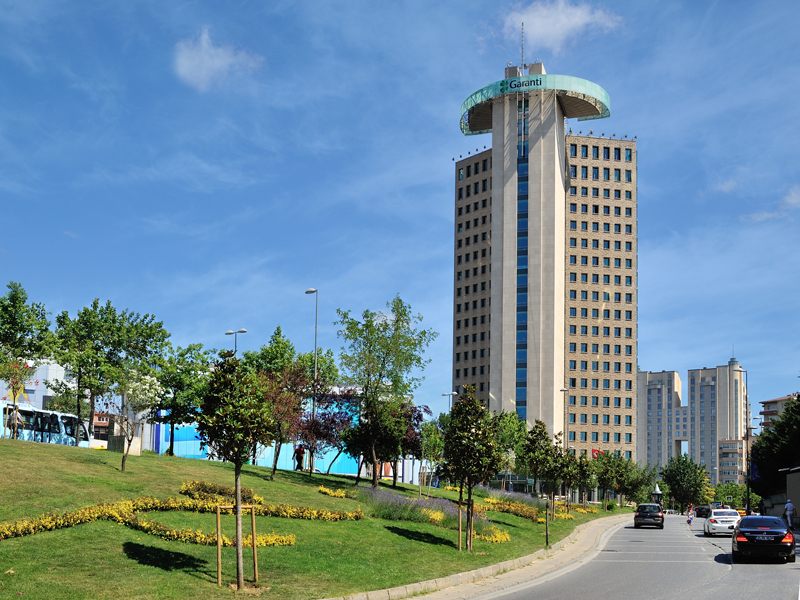 As a response to inflationary pressure and volatility in the Turkish lira (TRY), the Central Bank of the Republic of Turkey (CBRT) maintained its tight stance, with average funding costs increasing by around 450bps in 2017. Despite the rise in interest rates, revitalisation in economic activity and active balance sheet management supported the banking fundamentals, with the sector delivering better results than expected. Despite the outstanding performance of 2017, Turkish banks still have significant room for growth. Although penetration rates for banking products have increased significantly since 2002, they are still low compared with figures in the eurozone. More importantly, the unbanked population is quite high in Turkey; more than 40 percent of the adult population do not have an account with a financial institution. In line with the aims of Banco Bilbao Vizcaya Argentaria (BBVA), Garanti’s majority shareholder, the bank will continue to focus on customer satisfaction. Garanti will bring a new age of opportunities to its customers by offering them the best banking solutions. Customer experience is a priority for Garanti. This is even more important in today’s ever-changing environment, which is accelerated by technology. Boundaries between industries have already blurred, and digital business models create the new norms for all business areas. Solutions that delight customers easily become the standard not for a specific category, but for all. At Garanti, therefore, we see the customer experience as the most important element for strengthening our competitiveness and differentiating us in our industry, as well as from other markets. On that note, digitalisation is one of the global trends that deeply influences every part of life. Digital transformation is driven by developments in many different areas, from the Internet of Things and cloud technology to big data and artificial intelligence. As internet access and smartphone usage become far more widespread, customers are turning away from traditional methods and changing their preferences in favour of more simple, useful and timesaving channels that they can access anywhere. Therefore, it is now more important than ever to deliver a customer experience where customised solutions are offered and, indeed, go a few steps beyond simply meeting customer expectations. Our new branch service model, which has been recently launched, represents a new era in the Turkish banking sector and reflects digitalisation in its branches. With the aim of creating a seamless, omni channel experience to ensuring similar customer experience across all channels, Garanti started to approve its products and services digitally in branch processes. With a universal banker that provides both cash transactions as well as advice from a single point of contact in the lobby, accompanied by digital screens for customer use, Garanti enables the best service and customer experience. In 2017, Garanti welcomed 73 million customers in its 948 branches, which are spread throughout Turkey, offering them a wide range of products and services to meet their financial needs. There is nothing coincidental about the fact that we have ranked number one in the net promoter score among peers for two consecutive years. We continue to maintain our leading position among private banks in consumer lending. With its effective delivery channels and successful relationship banking, Garanti’s market share in retail lending among private banks increased further in 2017. While supporting its customers in a growing economy with a young population, Garanti secured a 19 percent annual growth rate in consumer General Purpose Loans (GPLs). Noteworthy was the significant increase in digital sales within total GPL sales: at the end of the year, the ratio climbed to 78 percent. Mortgage Expert Garanti, meanwhile, sustained its leadership in mortgages among private banks with an annual growth of 10 percent. As a pioneer in digital transformation for more than 20 years, we have now reached a point where we can bring banking services to our customers – wherever they are located – and serve Turkey’s largest digital customer base with close to six million active customers. In our actions, we are guided by the principles of trust, integrity, accountability and transparency towards all of our stakeholders. Furthermore, our efforts in supporting financial literacy, health and inclusion have touched the lives of the almost 810,000 customers who have started using our savings products. We have a solid and long-term strategy built on a combination of technology and human factors, which are the key determinants of our age. We execute our customer experience strategy with the aim of making our customers’ lives easier, looking after their financial wellbeing, assisting them in making conscious financial decisions, helping them to grow their business in a sustainable manner, and providing access to financial services for everyone. Garanti certainly finds itself in a commanding position, a position it continues to strengthen, which in turn benefits its customers, both big and small.